Thanks for the wonderful review, Angela! Our team works hard to provide the best experience for all of our guests!! We are so happy that you were pleased with your visit - and we hope to see you again soon! Renee, thank you so much for this marvelous review! Our staff seeks to provide the finest level of service achievable while offering our customers the best prices possible! Great products and very friendly staff- always will to help and offer ideas!!!! Kym, thank you so much for this marvelous review! Our staff seeks to provide the finest level of service achievable while offering our customers the best prices possible! We hope to see you again soon! 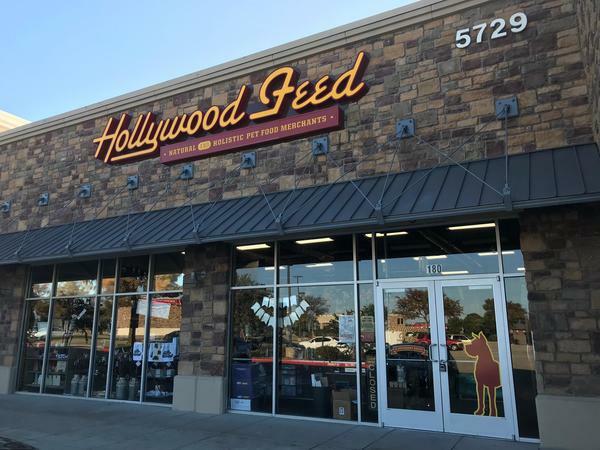 The BEST pet food/supply store! I just love going in and knowing I’m getting high quality foods and treats for my dogs. I trust in the people and products and I love that they opened a new store so close to my home. Thanks Hollywood Feed, you’re the best! Pamela, thank you so much for such an outstanding review! Our team strives to go above and beyond to provide a wide variety of quality products for each pet's specific needs and ensure an excellent experience for each customer! We're thrilled you're pleased with our service and hope to see you again soon! Jodi, thank you so much for your positive review! Our staff attends 40-50 hours worth of training on both products and customer service throughout the year to learn how to best serve our customers! It is always a pleasure to have such wonderful feedback! Paul, we sincerely appreciate your wonderful review and feedback! Our team is dedicated to keeping our shelves stocked with food that we would happily feed our own furry friends! Be sure to come and see us again soon! The most knowledgeable staff, friendly and helpful! Great products and always a fun shopping trip with my Jerzy! Andrea, thank you so much for your positive review! Our staff attends 40-50 hours worth of training on both products and customer service throughout the year to learn how to best serve our customers! It is always a pleasure to have such wonderful feedback! We hope to see you and Jerzy again soon! Bonita, we are always excited to receive such an amazing review! Great customer service is always something our associates strive for and we are happy to have such great feedback! Always someone there to help and assist with any questions or concerns. Great selection of food and treats for my baby. Thank you so much for the amazing review, Kecia! Our team strives to go above and beyond to provide excellent service and products for every customer! We hope to see you again soon! DeeDee was a great help and very knowledgeable about products. Thank you for the amazing review, Celeste! Our compassionate team strives to provide exceptional service and we're thrilled to hear that you are pleased! Come back and see us again soon! First visit to this specific store. So glad to finally have a store in Frisco! Staff was very helpful in helping us locate our normal buys in a new store and even offered to carry it out to the car. Thank you for this great review, Christy!! We are so happy to be in the area, and happy that you are now able to get all of your pets goodies at this location. We hope to see you again soon!! I am very happy with Hollywood Feed. The employees are very knowledgeable and helped me find the perfect food, vitamins and treats for my Maltipoo. Thank you for this great review, Carol!! Our team works hard to find the best options for each individual pet! We hope to see you and your Maltipoo again soon! Thank you for the 5 stars, Heather! Our team aims to make every customer experience with us exceptional! Best foods for your pets and the best customer service! Love my new Frisco store! Pamela, thank you for the fabulous review and feedback! We are dedicated to providing exceptional products and service to our customers and their furry friends! It's very encouraging to hear that you are pleased and we hope to see you again soon! great customer service, helped me pick the perfect food and treats for my dog! Cassidy, thank you for the awesome review! Our team is always happy to help make recommendations or suggestions for our customer's furry friends! Please come and see us again soon! Thank you for the marvelous review, Bethe!